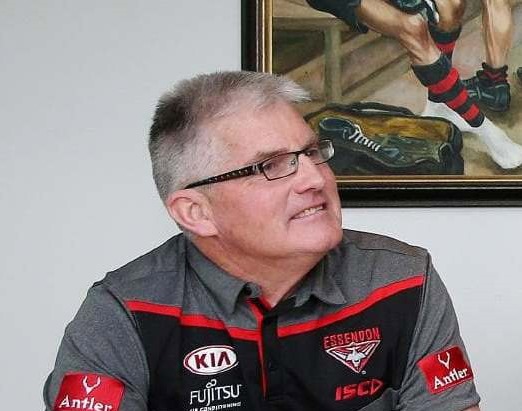 Former Richmond champion and Essendon’s Senior Recruiting Manager Mervyn (Merv) Keane will be talking about mental health among healthcare workers at this year’s Annual General Meeting. Merv has had recent experience related to his family regarding this important topic and will share his journey at the event to be held at the University of Melbourne on Tuesday 27 November 2018. Merv’s daughter, Emily, a gynaecologist at Melbourne’s Royal Women’s Hospital, died from alcoholism on September 2, 2017. Almost a month later, his wife Kaye took her own life. The three-time premiership star played 238 games for Richmond and has spent nearly 50 years involved in some capacity with the Australian Football League in a variety of roles. Merv recently retired from the football industry to focus on the wellbeing of junior doctors. He said he wanted to share his story in the hope of helping others. “My next aim in my journey of life is to make a difference in the career and wellbeing of young doctors,” he said. Merv said there is still a stigma around depression and there are too many people struggling in silence. “Medical people find it hard to accept help, or find help, or ask for help. GV Health’s Annual General Meeting is on Tuesday 27 November 2018 at 4.30pm at the University of Melbourne, 49 Graham Street Shepparton. This entry was posted in Uncategorized on November 22, 2018 by Jodie Fleming.